First established on November 27, 1850 as the government exerted control over the new California territory acquired as a result of the Mexican-American War, it was originally located in the bottoms near the Colorado River, less than a mile below the mouth of the Gila. In March 1851 the post was moved to a small elevation on the Colorado's west bank, opposite the present city of Yuma, Arizona. Previously on this site stood the Spanish Mission Puerto de la Purísima Concepción (1780 - 1781). A mission guard of 22 soldiers had been posted here for protection, the site deemed too remote for a formal presidio. It was attacked and destroyed by Quechen Indians in the July 1781 Yuma Revolt, killing over 100 Spaniards, mostly new colonists bound for San Diego. No remains. This site had been occupied by Camp Calhoun, named for John C. Calhoun, established on October 2, 1849, by 1st lieutenant Cave J. Couts, 1st Dragoons, for the boundary survey party led by 2nd Lieutenant Amiel W. Whipple, Corps of Topographical Engineers. A ferry service, maintained by the soldiers for the survey party's convenience, also accommodated emigrants. Fort Yuma was established to protect the southern emigrant travel route to California and to attempt control of the warlike Yuma Indians in the surrounding 100-mile area. The Yuma warriors were the bane of the Spanish and the Mexicans who were not able to keep this important land trail open on a regular basis due to their determined attacks. Established by Captain Samuel P. Heintzelman, 2nd Infantry, it was originally named Camp Independence. 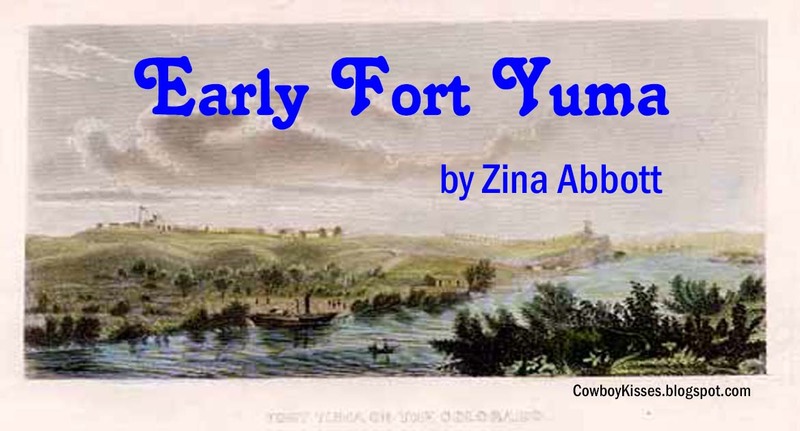 In March 1851, when the post was moved to its permanent site, its name was changed to Camp Yuma. A year later the post was designated Fort Yuma. In June 1851 the Army virtually abandoned the post because of the high costs incurred in maintaining it, and it was completely abandoned on December 6, 1851, when its commissary was practically empty of provisions. The post, however, was reoccupied by Captain Heintzelman on February 29, 1852. As with the other forts in California during this period, Fort Yuma was inspected by Colonel Mansfield, Inspector General of the Army, on 4-7 Jun 1854. He prepared a report for the Army and a drawing of the layout of the Fort. He found it with an available force of 5 officers and 106 enlisted men including the commander, Maj. Heintzelman. He found the quarters to be made of willows and worthless. Subsequent plans were drawn up and approved for good temporary quarters for two companies. Two supply routes were now in place, one by small steamer up from the mouth of the Colorado River and one by a land route from the New San Diego Depot. Both routes were expensive in terms of cost and time. Col. Mansfield noted that it seldom rained and that sand storms could shut out the rays of the sun. 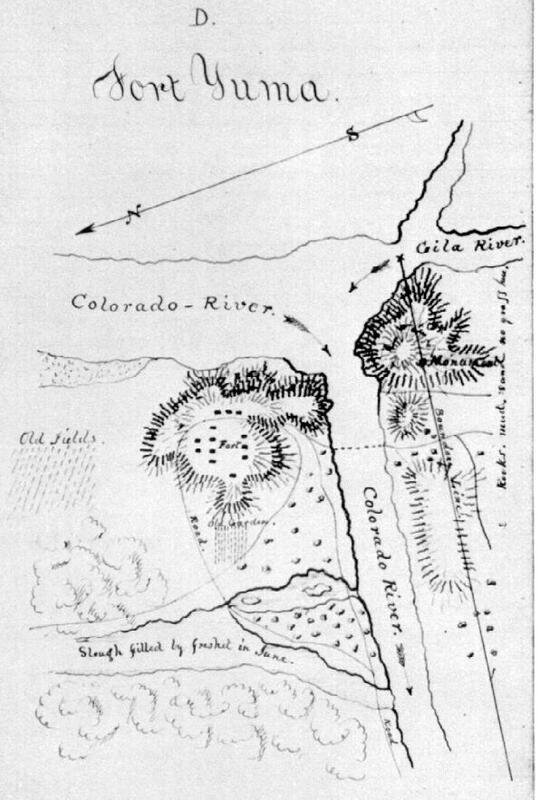 "Fort Yuma is beautifully situated on an eminence about 80 feet high directly opposite the junction of the Gila with the Colerado, and at the crossing of the Colerado by emigrant trail from El Paso on the Rio Grande, and affords protection to emigrants, and is one link in a chain of posts that should be established on the route to El Paso. It is well selected and should be maintained. It is 220 miles from San Diego, 275 miles from Los Angeles, and 600 miles on Cooks Route to El Paso via the Pimos Villages, which are 185 miles distant. It is 150 miles from the mouth of the Colerado, about 150 miles below the big Canon, which is supposed to extend from 200 to 300 miles, a few hundred yards from the boundary line and one of its monuments on the opposite side of the Colerado, in latitude 32 degrees 43 minutes… and longitude 7 hours, 38 minutes... It has a commanding and extensive view, with Pilot Knob in the distance lifting its head above the horizon for a beacon. It was once a mission station but destroyed by the Indians. The water of the Colerado, a very rapid stream, is good for drinking, and it is navigable for small steamers to the Gulf of California, and supplies are being furnished that way direct from San Francisco which not doubt will result in a great saving of expense over the transportation across the desert 100 miles with bad water and no grass, 120 miles over steep mountains and bad roads in wagons exposed to the hazard and suffering consequent to such trips. This mode of supplying will undoubtedly eventuate in making this post a sub depot for the supply of such post as will probably be established on the route to El Paso. And here I would remark I shall again refer to this subject under the head of post recommended and endeavour to designate localities, sites, or positions which would open this route to monthly mail and stage across the country to San Diego or Los Angeles. The Gila is not at all seasons a running stream, and the water is not good, and stands at times in pools in its bed. There are two ferries, one just below the fort and the other at the point of rocks within six miles of this post and a trading house kept by G. F. Hooper, the sutler of the post, at Algodones, about 11 miles further down the river. The whole white population within 100 miles is confined to the ferries and store above mentioned, and probably never exceeds 15 men. There is good grazing, abundance of wood, and a garden for vegetables no doubt can be established here by irrigation. The Yuma Indians in this vicinity number about 300 warriors armed with bows and arrows and are of sulky and uncertain character and not to be trusted. There are other Indians in this quarter-say within 150 miles-which, combined with these, might raise the number to 1,000 warriors. For a sketch of this position see D hereunto appended. Fort Yuma as drawn by Colonel Mansfield in 1854. Courtesy of the National Archives. This post is under the command of Brevet Major S. P. Heintzelman of the 2d Infantry. It was established by him in 1850, and was abandoned by Captain D. Davidson of the 2d Infantry without authority and again reoccupied by Major Heintzelman in February 1852. Attached to this post is Assistant Surgeon R. O. Abbott. The force consist of Company D, 2d Infantry, 41 in the aggregate, Captain and Brevet Major S. P. Heinzelman…A detachment of Company I, 1t Artillery, from the Mission in San Diego, 17 in the aggregate, commanded by 2n Lieutenant A. J. Slemmer, who is also acting commissary of subsistence, and assistant quartermaster…. A detachment of Company F, 3rd Artillery, from the Mission of San Diego, 51 in the aggregate, commanded by 1t Lieutenant J. S. Mason…. No Musicians at this post. ……. The discipline of this post is good, and the troops have been instructed-their arms and equipments in good serviceable order. Major Heintzelman gave a very handsome battalion drill and some target firing. There are two 12-pounder mountain howitzers in good serviceable order and a suitable supply of ammunition for all arms of the service, but no magazine, and the powder is piled in the center of the parade and covered with tarpaulin and secure against the weather. The quarters of the men and Officers and storehouses and hospital, being constructed of willows, with the single exception of the commanding officer's quarters just erected of adobes, are worthless. General Wool has subsequently directed that good temporary quarters be erected here for at least two companies on a plan of Major Heintzelman, approved by the quartermaster and recommended by myself, which were well adapted to the locality. The Medical Department is well managed by Dr. Abbott, and the sick are as well cared for as the hospital would admit. Lieutenant Slemmer has in his hands, as commissary of subsistence, 1,468 27/100 dollars and as assistant quartermaster, 150 dollars kept in an iron safe. Major Heintzelman, as recruiting officer, has in his hands 52 dollars. The post fund is in dept 17 84/100 dollars. George F. Hooper is sutler and gives satisfaction. The supplies of this post are good and obtained from San Francisco either direct by water, or via the sub depots at New San Diego by land, with the exception of hay and wood which are had by cutting from two to ten miles off. A garden has been established here, but owing to the saline soil and want of suitable moisture, has been a failure. It will however be undertaken again. As before observed, the water of the Gila is brackish, but that of the Colerado is good and permanent. Major Heintzelman is entitled to great credit for the improvements in the roads, and for the manner he has supplied the post with water. By a force pump and mule power, seated on the bank of the river, he raises the water into a reservoir about eighty feet high, and above the level of the parade, and conducts the water, after it has settled, by pipes into a reservoir near the parade, where the garrison get an abundant supply. The ration of coffee and sugar at this post in not enough, and a complaint was made of too much salt meat and too few vegetables. A small steamer now plies between this post and the mouth of the Colerado, a distance of about 150 miles, and has a contract for the transportation of supplies. The present road to San Diego in places very bad, particularly over the steep mountains and thro' the narrow Canon. An appropriation of 10,000 dollars on this road judiciously expended would be very advantageous, not only to the Government, but for emigrants. A drawing showing the scene at Fort Yuma in the 1860s. Artist is unknown. Thef ort is in the upper background on a knoll 80 feet above the river. Source: Fort Yuma On The Colorado River by Colonel H. B. Wharfield, USAF, Retired. It seldom rains here, and the sand storms from the desert, at times, fill the whole atmosphere and shut out the rays of the sun. There was great harmony among the officers here, and they all mess together. Colonel McCall inspected this post in 1852. Since I left, I understand Brevet Major G. H. Thomas, 3d Artillery, with his command, has relieved Major Heintzelman, and the detachments of Companies I and F from the Mission of San Diego." End of Colonel Mansfield's report. Fort Yuma became known as the hottest post in the U.S. Army with 110+ degree temperatures in the summer time. The post was also dangerous, as evidenced by a large graveyard. The post became a stop on the Butterfield Overland Mail Route (1857-1861) and the El Paso-Fort Yuma Stage Line. While researching my Copper Mills World book, Silver Dreams on a Tin Can Budget, I became infatuated with Sears Houses. In 1908, Sears issued its first specialty catalog for houses, Book of Modern Homes and Building Plans, featuring 44 house styles ranging in price from US $360–$2,890, and that was the year the first mail order for a Sears house was filled. Precut and fitted lumber was first offered by Sears in 1916. Prior to 1916, the prospective home builder had to cut their Sears-supplied lumber to appropriate lengths. 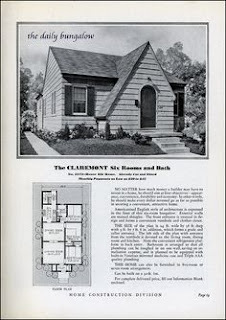 Using railway boxcars and trucks, Sears delivered to a home site. Homes had approximately 25 tons of materials, with over 30,000 parts. Shipped by railroad boxcar and truck, Sears delivered the material to a home site. Compelling ad copy for sure. The cost was 1437.00. For many people, it was the first way they could afford to own their own home. 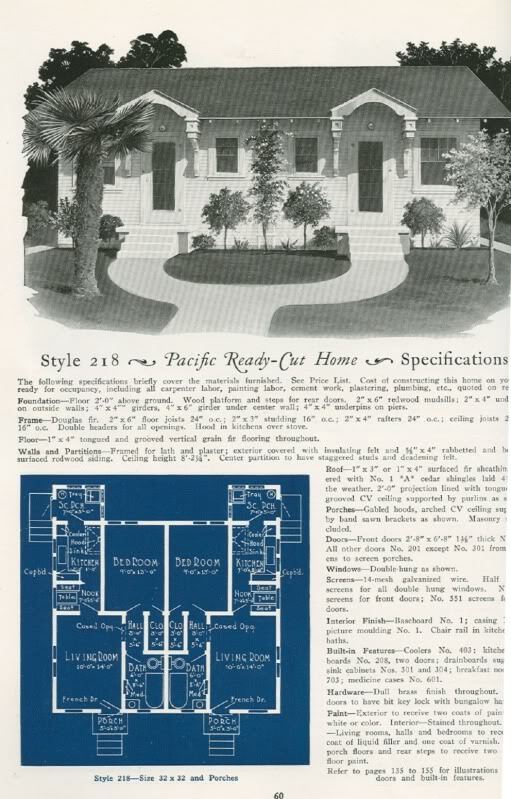 The last Sears Catalogue for homes was sold in 1940, but they continued to ship the kits until 1942. 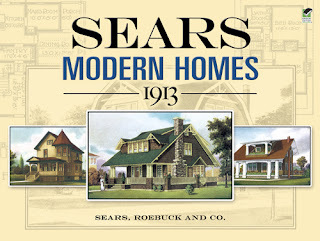 During the time Sears offered the homes, there were 370 different models available. In the early years, the models were identified with numbers. After several years, Sears also began assigning names to the various models, a convention that carried through to the end of the program. 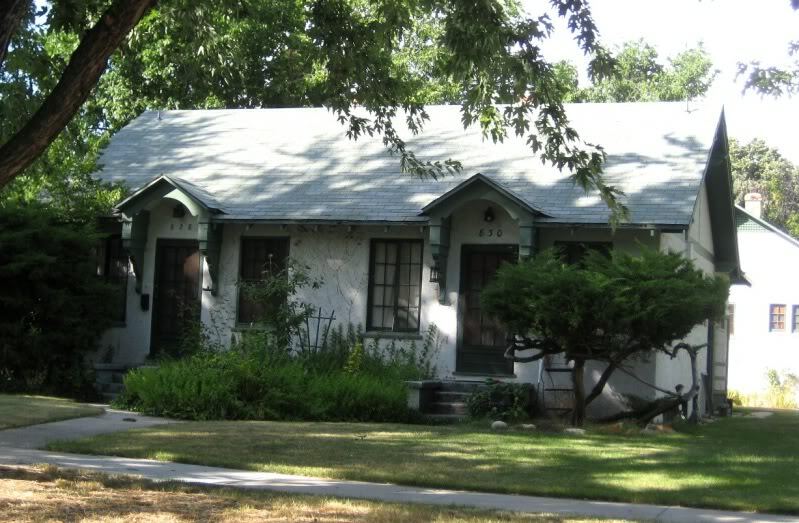 There are several Sears Kit Homes in the older part of Boise, Idaho called the North End. This home is only a couple of blocks from where I was raised. And here are the original plans for this bungalow. 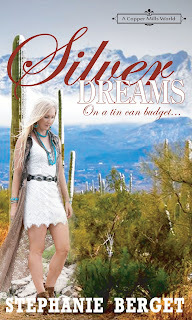 Silver Dreams...On A Tin Can Budget, featuring the Sears House, is available on Amazon. Reed's family ranch is about to be auctioned to the highest bidder. His only priority is coming up with the money to buy it back. He has no time for a fun-loving blonde who makes him laugh…even if she might be the best thing that’s ever happened to him. Tragedy taught Catie to love life and reach for her dreams. Working with silver and gemstones calls to her creative soul, and so does the quiet cowboy with a lot on his mind. She's a small town girl with a big heart that wants to wrap his troubled one up and take it on an adventure. Join Reed and Catie in this opposites attracts cowboy romance, as they discover whether love can bridge the gap between their two worlds. 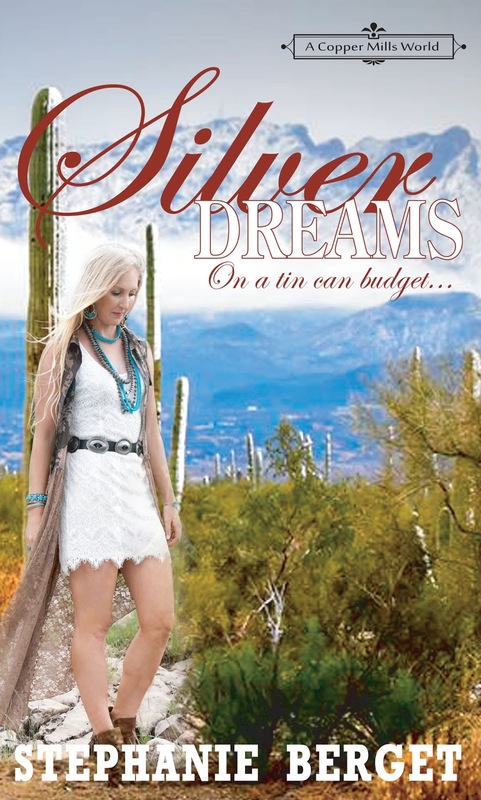 Visit Copper Mills, Arizona - a small town with a heart as big as the wide-open spaces and a history of making dreams come true. 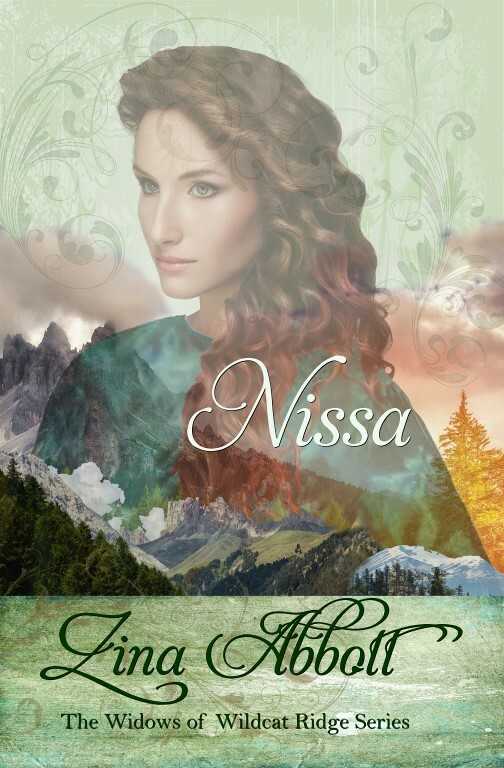 Check out the other Copper Mills Novellas on Amazon. Every good western needs a sidekick.